thankful for, over the past year. 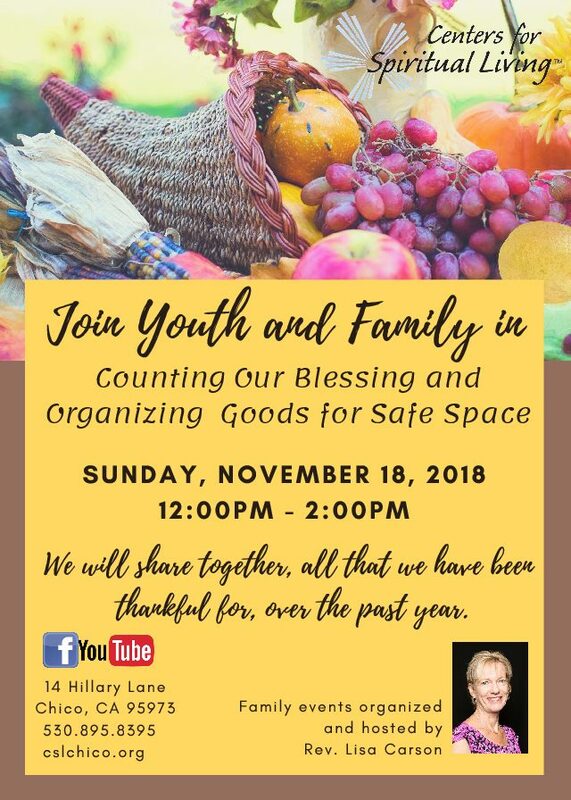 Come join us, as we count our blessings, with our Youth and Family group. Organize the Blessing Bags collected for Safe Space donations. It’s a great time for us to reflect and share.